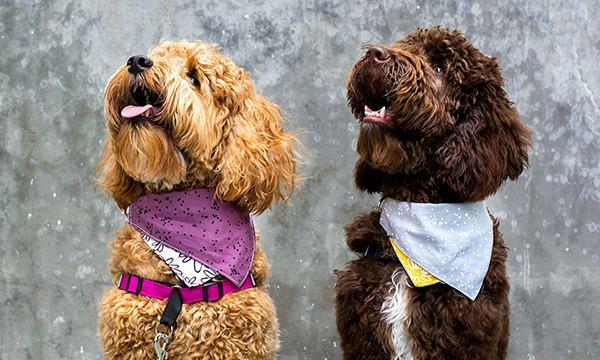 Made with Arroyo – Dog Bandanas from Wildebeest Co.
It’s such a treat to see other companies integrating my Arroyo fabric designs into their products. 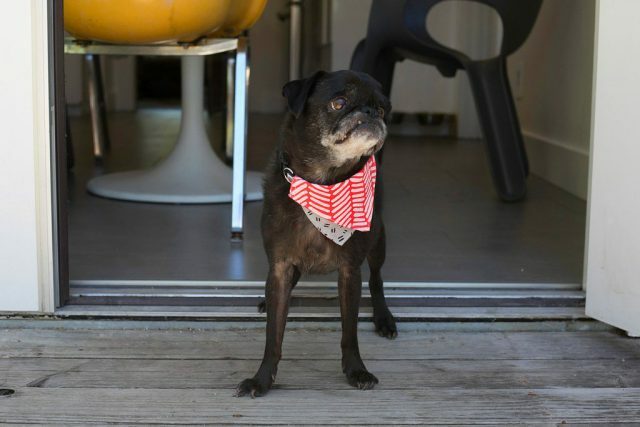 One company making great use of Arroyo fabrics is Wildebeest Co., a small business making fun and versatile pet gear in the San Francisco bay area. 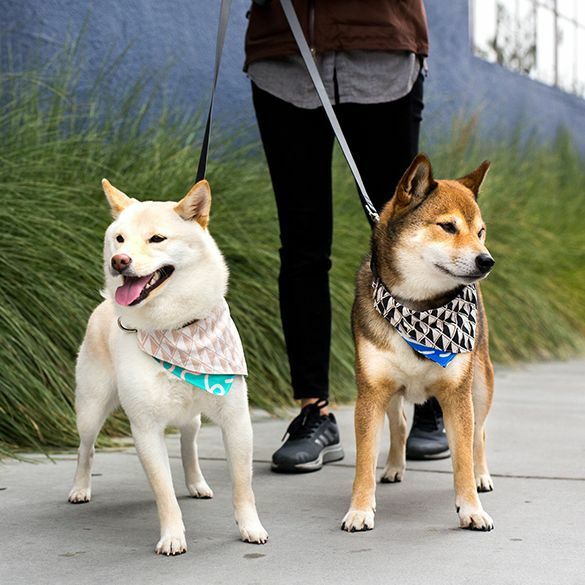 If you follow them on Instagram, you’ll see how cute their bandana collars are ⏤ the pups featured in their stream look extra dapper as they go on adventures. 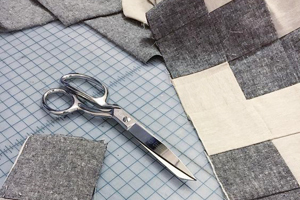 I chatted with Wildebeest Co. founder Jane Lee to get the scoop on what makes her pet gear special. Erin: What’s your design process like? Jane: I’m a pretty hands-on person. I sketch out ideas pretty minimally and tend to just jump into taking materials out and start playing around and building. 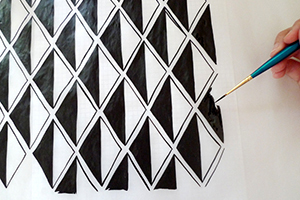 I make lots of prototypes before finalizing a design, trying different variations to get the look & function as I want. Product testing is a crucial process throughout the prototyping where my dog Shelby is usually the first product tester. I’ll sometimes make more samples to give out to friends with smaller or bigger dogs to make sure the design is as universal as can be. 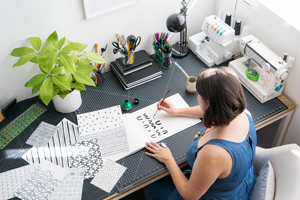 What makes your bandana design special? Our bandana collar was Wildebeest’s second product following the Meadow beds. The concept was to bring that fun, outdoorsy look of a bandana-around-the-neck into the ordinary daily lifestyle / activities of an urban pup like dog walking and playing at the park, and hopefully inspiring to venture out beyond, like going for a hike, taking a road trip, etc. 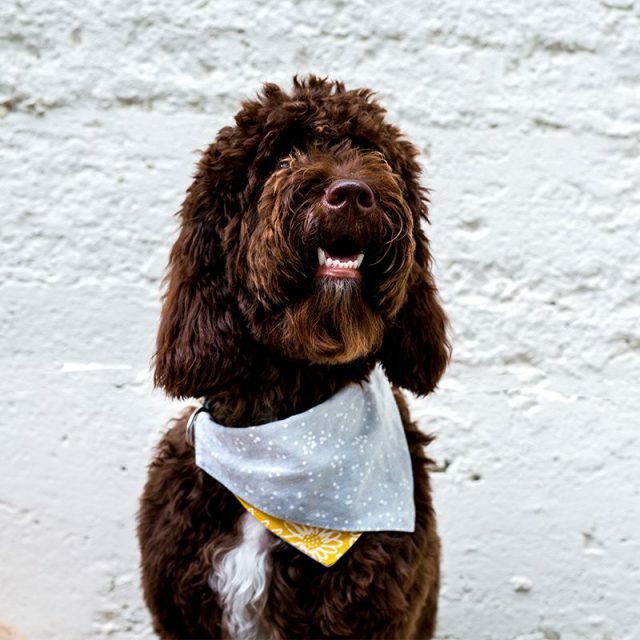 Aiming to be unique, the design combines 2 fabrics of different colors & patterns and completely integrates this reversible bandana piece with a functional dog collar with a quick-release buckle. Are there any special considerations to take into account when you design for dogs? When designing gear for dogs, functionality, comfort & safety are a few things I always consider. I’m all about making stylish & unique but more importantly functional dog products that can be used with ease everyday. Then comfort and safety concerns follow naturally. On a more lighthearted note, we get to play around with fun colors & patterns for dog stuff too. Many customers seem to like bright color accents for their pups even if their own wardrobe is Black & White.